Over the next few years a new cultural centre is to be built in the heart of the Ukrainian capital Kiev. 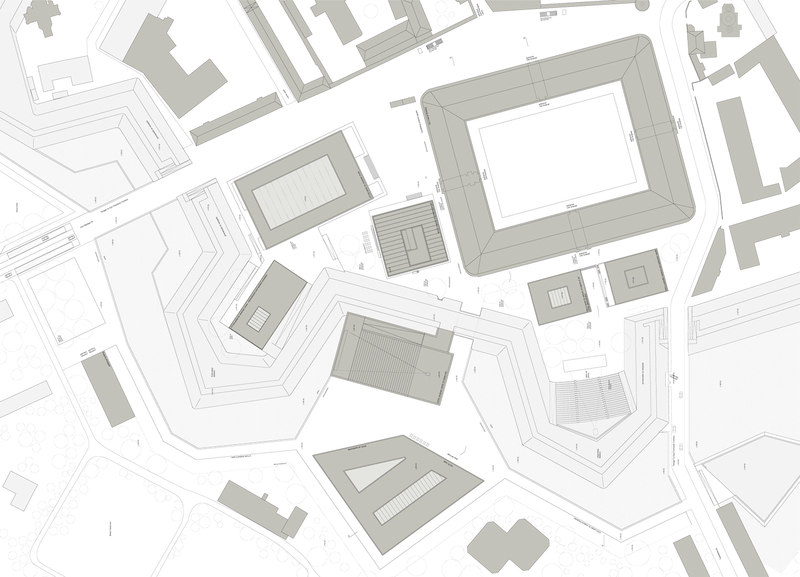 The competition included a master plan for the development of the former military area Mystetskyj Arsenal, including an arsenal building from the early 19th century as well as the design of new buildings for a concert hall, a museum for contemporary art and a cinema complex. The project site is a 9.8 ha plot in Pechersk. The site is located 3.5 km south of Khreschatyk, Kiev’s main road, on the west bank of the Dnipro River. It borders the Kiev Monastery of the Caves or Kiev-Pechersk-Lavra, an old monastery complex listed as a UNESCO World Heritage Site, to the east. A different aspect of Ukrainian culture is represented within each of the various main buildings. The buildings form the public space that connects them, like independent personalities within a group. This was done to create a forum for the public; as a place of gathering and reflection in coherence with the definition of culture -a self-reflection of mankind-. -. The Forum and the Acropolis is a reflection of European culture with Greek and Roman origins, from the Piazza San Marco in Venice to the Forum Fridericianum in Kassel, the cave monastery in Kiev is conceived exactly in this sense with the Dormition Cathedral, the bell tower and its other buildings. The project is developed around the new Forum Square, the Mystetskyj Arsenal Square, with a series of small piazzas along the ramparts. 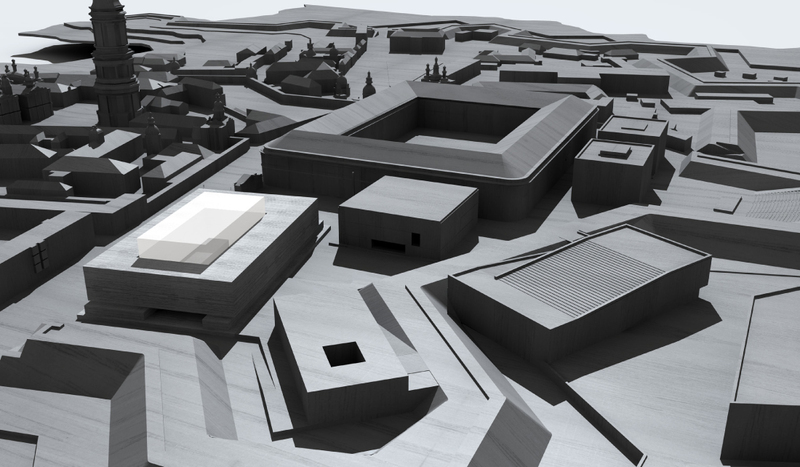 It uses the concave and convex open spaces to integrate buildings and landscape elements such as the Arena in the Uspenskyj Bastion. The historical form of the defensive system is reinterpreted into a new city park. The ground plan of the hotel corresponds exactly to the historic ‘Ravelin’, while the Children’s Centre and the Creative Industries Centre use the area of the ‘Covered Way’ and the ‘Glacis’ to create an urban upper level with shops, restaurants, etc. and a green, more intimate lower level. This is also true for the hotel, where functions such as wellness and spa are integrated in the basement in reference to the surrounding greenery. In order to create the sacred space of the Acropolis, the three historical entrances were redefined as gate passages creating a bridge situation. This point also marks the beginning and end of the panoramic promenade, running along the city walls, while also providing access to the existing southern Pechersk Landscape Park. In order to maintain the Kiev Pechersk-Lavra dimension and human scale, the project does not exceed the existing eaves height of about 18 meters. The exception is the transparent ‘dome’ belonging to the Centre for Ukrainian Music with its 27 metres, which is necessary for the accommodation of the concert hall.